L to R: Capt. Tarzan, Hunter Joslin, Jana, Martin, and little Filip at Indo Board Headquarters. In every epic eighties saga, the storyline unfolds between good and evil – the protagonist versus the antagonist – in a battle for the fate of the world/galaxy/universe/school hallways (you get the point). The rising action in those films entails a dramatic montage with an exposé of the protagonist’s skills increasing in time lapse perfection. In the 1986 film Highlander, Sean Connery plays Ramirez, the prototypical master bestowing knowledge upon his brash new student, MacLeod, played by Christoper Lambert. In the opening scene of the montage, Ramirez is rowing a small wooden boat across a large lake as MacLeod struggles to straddle between the gunwales. Ramirez mockingly sings with vibrato, “B-A-L-A-N-C-E… Balance!” before heaving MacLeod over the edge for his brazen comments during the training exercise. While Lambert’s character inevitably discovers his immortality in this sequence, the focus of this particular article is to discuss MacLeod’s failure – balance training. Most of us spend a lifetime attempting to acquire what montage training scenes depict in a matter of minutes. Those who endure the test of time learn the inherent value of cross training with board sports. Wakesurfing behind the boat is a luxurious way to spend the day enjoying the water while honing your craft but it isn’t the only avenue of skill drills available. Repeatedly crashing can eventually yield the appropriate movements required to land a trick but developing the muscle memory to accomplish a particular locomotion can be rigorously practiced in the comfort of your home. For many years, Wakesurf Orlando has advocated the use of Indo Boards for a variety of wakesurfing skills from basic balance techniques to more advanced wakesurfing tricks like big spins. 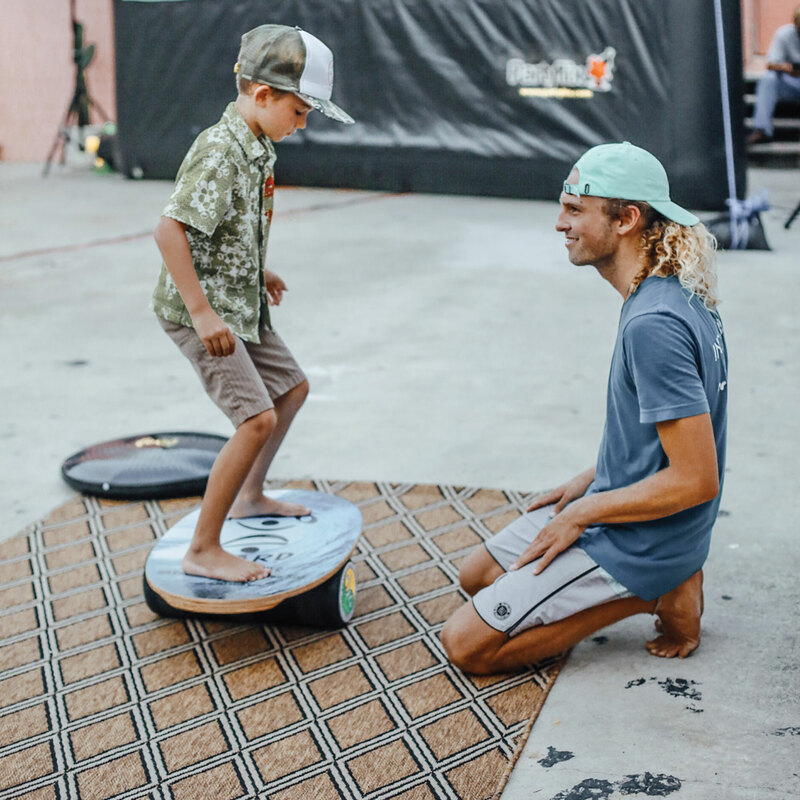 Indo Board has become the most renowned balance training board in the world offering eight unique models designed for increasing core and leg strength. Even athletes (including former Olympians) whose focus remains outside the realm of board sports have attributed a training edge directly correlated with their use of Indo Board products. The fundamental basis of control in wakesurfing is derived from core and leg strength as most movements are actuated from the abdominal region and below. Even the most minor modulations engage ligaments in the feet that receive a hefty workout during barefoot balance board training. Without the quintessential elements of focused balance training, an athlete – professional or recreational – slows their progress. We recently received an offer to tour the Indo Board factory from company owner, Hunter Joslin, who invented the modern balance board. Upon arrival, we noticed each computer desk had several Indo Board balance trainers within a few square feet of the keyboard; one computer desk was set up without a chair so the user could stand on an Indo Board while working. Is your office this awesome? The office also quickly converts into a veritable playground of balance boards with endless combinations of inflatable ovals and cylindrical rollers available for testing. To be honest, we were surprised the staff is able to get any work done with so many toys littering the office. Despite a hip injury that has kept him out of the ocean surf for a few months, Hunter still happily jumped on an Indo Board to strut over forty years of adept balance training development and prowess. Indo Board has developed an extensive set of training modules available on www.youtube.com/user/indoboard. The videos offer insightful ideas and tips for utilizing the different models of Indo Board to improve any individual’s dexterity. The videos also offer a quaint reminder of how some extremely talented individuals have developed Indo Board training abilities beyond what many of us could possibly imagine. After getting hyped from watching a few online videos, we jumped on several models of Indo Board to tinker, and eventually ended up taking home a new Mini Kicktail model after having so much fun landing shuv-its. If a wakesurfing school is using Indo Board for onshore training, shouldn’t you? Check out all Indo Board has to offer at www.indoboard.com. 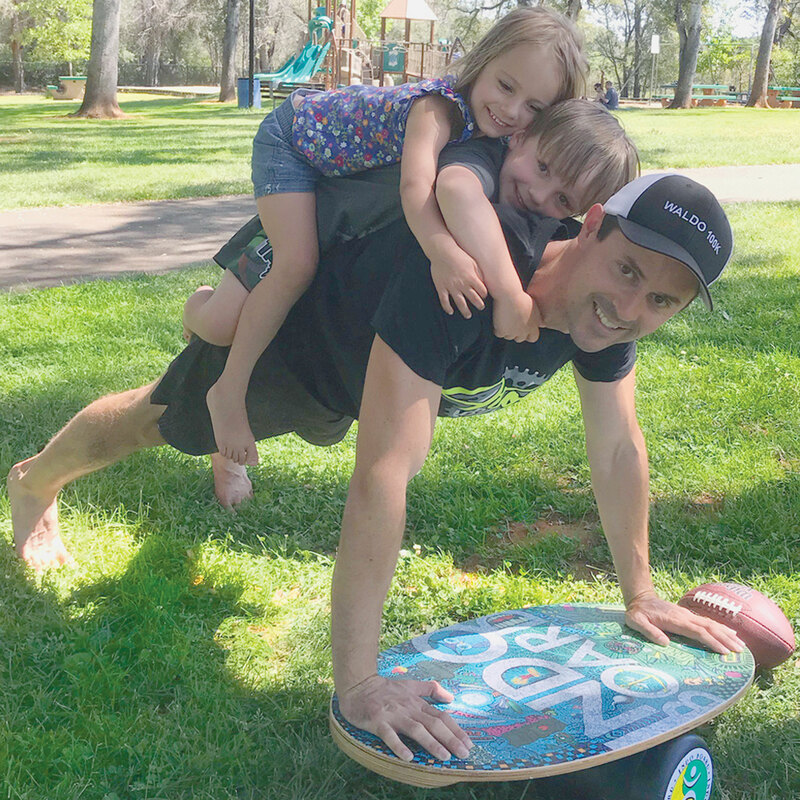 Indo Board was founded with the mission of bringing the fun and benefits of balance board training to everyone. 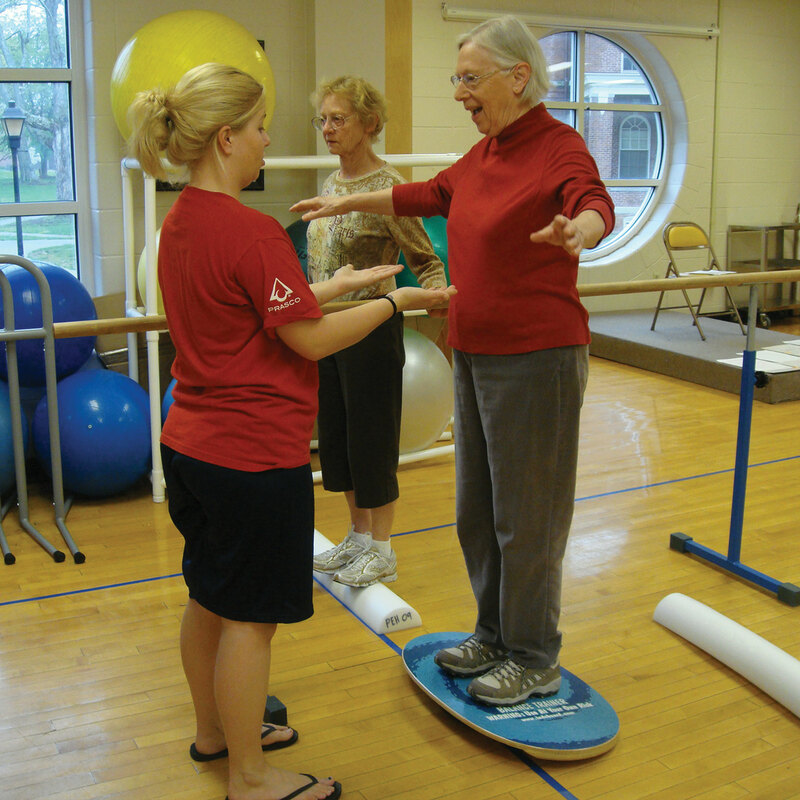 The Indo Board (derived from the word indoor) was designed to be used indoors so that everyone from kids to senior adults to professional athletes can enjoy the benefits of balance training and balance board exercises. Click Here to stay informed on Indo Board News, Exercises and Special Deals.